If you or your business is about to take on part of a construction project then you are likely going to be presented with a construction contract. These important documents cover a lot of details and you should do more than just flip to the final page and provide your signature. Understanding a construction contract agreement is almost as important as getting the job itself. After all, these contracts govern everything from the timelines concerning the project to how you will be paid. Failing to understand a construction contact before signing could be devastating. 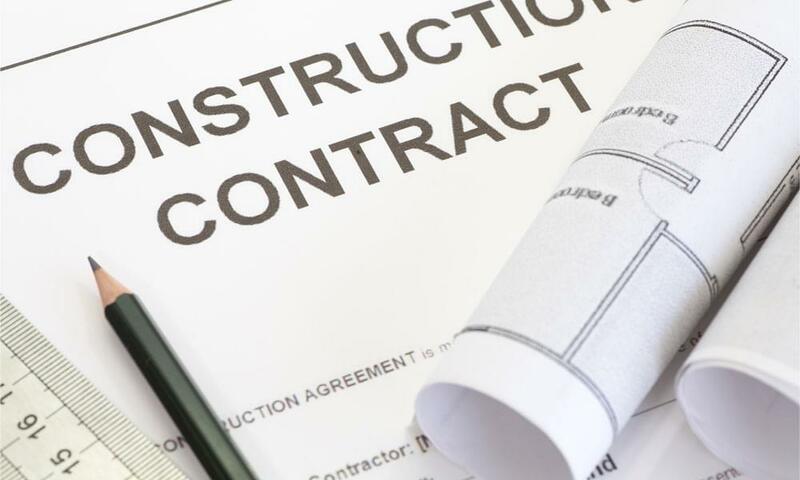 In this blog we will take a closer look at construction contract agreements and how you can better understand these important documents before you put pen to paper. There is no generic form of construction contract that can be used for every project that gets started. Instead, there are several basic types of construction contracts that you will typically come across. Understanding the differences within these contracts is a very important step to understanding the entire contract completely. Lum sum contract: The first type of contract is lump sum contract. When the scope, budget, and timeline of the project are clear then this is most often the type of contract used. The contract outlines a total lump sum price for the job as well as penalties for termination. Cost-plus contract: Another common type of construction contract is called a cost-plus contract. These contracts use the actual cost of materials and labor as a baseline and then determine a profit for the contractor based on that number. For example, cost plus percentage would pay the cost of the work and materials plus a percentage to the contractor. Bonuses and fixed rates can also be part of a cost plus contract which can make things more complicated in some cases. Time and material contract: Next up are time and material contracts. Unlike with lump sum contracts, time and material contracts do not have a set timeline. In this case, a daily or hourly rate is set and the project is carried out. In many cases, a cap will be set on the project to protect an owner from out-of-control costs. Unit pricing contract: Finally, the last common type of contract you will encounter in construction is a unit pricing contract. These contracts are more common with large projects or government projects. Owners set prices for units which could include labor, materials, and equipment usage. Typically the contract will allow for a maximum number of units and additional units must be approved with a change order. What Work is to Be Completed? Before you sign a construction agreement you should have a clear understanding of the work to be completed. This is called the scope of the project. While there are industry standard construction contracts, even in those standard contracts the scope of the project is one of the most important parts of the entire contract. Without this section you cannot even begin to understand the type of job ahead. Ideally, this section is written clearly enough that an unrelated third party could read the contract and understand what the job is. Ensuring clarity is very important when looking at the scope of the construction agreement. For example, an agreement that calls for you to “drywall a house” is not as clear as an agreement that outlines the square footage, address, and unique requirements of the house in question. Not only does the clarity prevent disputes down the line but it also ensures that you don’t sign an agreement that simply cannot be profitable. How Will You Be Paid for Your Construction Work? Of course, getting paid is the entire reason you are reading this in the first place. Chances are you don’t work for free and you need to be compensated for your hard work. A contract for construction work should clearly outline how payment will be provided. For longer jobs, payment may be sent out at regular intervals while smaller projects may offer a lump sum payment upon completion of the job. In either case, a clear description of payment terms must be present to help avoid and settle any disputes that may arise. Most contracts across all industries have a section for terms and conditions. There are a lot of details put into this section and many people wrongly assume that the terms and conditions are just generic pieces of legal speak. Failing to clearly understand the terms and conditions can create major surprises down the road. Within the terms and conditions you will find a number of important details. The terms and conditions should outline which jurisdiction’s laws and regulations the contract must adhere to. Many contracts will also cover intellectual property. For many construction contracts this largely pertains to any drawings or planning that may be used in the course of the project. Owners want to ensure that they clearly outline their ownership of the intellectual property to ensure it cannot be taken and used for another project without their prior consent. Within the terms and conditions you will also find sections for dispute resolution and termination of the contract. Ideally you will complete all construction contracts without ever having to worry about these terms but, unfortunately, things don’t always work out perfectly. Understanding how to terminate a contract, the penalties for doing so, and how to resolve any issues is incredibly important. Within the terms and conditions there may also be mention of warranty for the work done. This will outline what could be considered as being under warranty and how a warranty issue will be resolved. Again, this section is very important because it outlines how and when you will have to return to the job site to resolve a warranty issue. You may have a perfectly written contract that is easy and clear to understand. Yet, issues including failure to pay can still arise. What is your next step? Many businesses will consider spending a lot of money on a lawsuit. However, there is another option that can save money and get results. Try LienItNow and see why so many contractors are using this service to resolve issues with unpaid construction contracts. LienItNow offers fast, simple construction liens that allow you to place a lien on a property and create a path forward to being paid without getting lawyers involved. Creating a lien document only takes 10 minutes and you will be well on your way to being paid. What Are Your Lien Rights and How Do You Use Them?